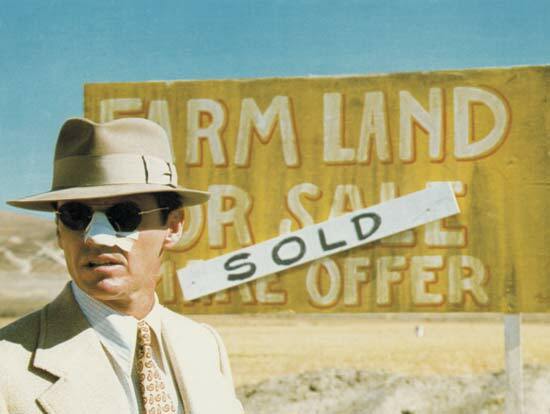 ScriptShadow: Screenwriting and Screenplay reviews: Chinatown - Best Screenplay Ever? 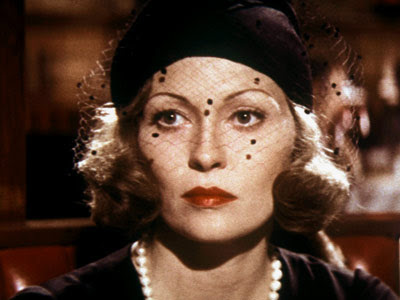 Chinatown - Best Screenplay Ever? Premise: A private detective investigating an adultery case stumbles onto a larger conspiracy involving the Los Angeles water system. 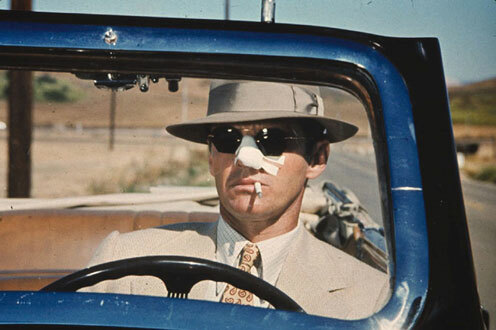 If you polled every established screenwriter in the business and asked them what the best screenplay ever written was, Chinatown would probably come out on top. The Robert Towne screenplay is considered to be the gold standard of screenwriting. So one day while drinking a glass of Cavasia and watching the tail end of the women’s professional bowling championships, it hit me like a sack of bricks: How come I haven’t reviewed the greatest screenplay ever written? It seemed like an odd oversight. Now I have a confession to make. I’ve never been a huge fan of Chinatown. It’s not that I don’t like the film. I think it’s okay. I just never understood the immense love for it. I mean, let’s be honest for a minute. It’s a murder mystery about water corruption. Try pitching that at your next meet-and-greet. For that reason, I’ve never sat down and read the screenplay from cover to cover. But all that was about to change so I could answer the eternal question that has been burning in screenwriting circles for centuries: Is Chinatown really the best screenplay ever written? I’m not going to summarize the whole plot because the movie is too well-known. But for you youngsters who don’t know what the acronym “VHS” stands for, I’ll give you a quick synopsis. 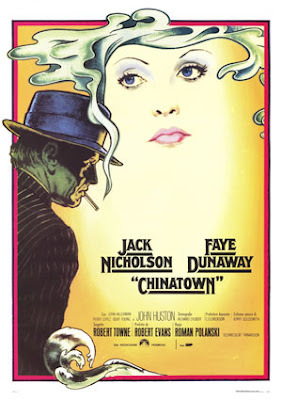 Chinatown is about private investigator Jake Gittes, who begins investigating the murder of Hollis Mulwray, the chief engineer for the Los Angeles Department of Water and Power back in the 1930s. It appears Mulwray was sniffing up the wrong tree in a larger conspiracy meant to protect the DWP’s interest in other parts of the water-starved city. Jake becomes chummy with Evelyn Mulwray, Hollis’ wife, who helps him piece together the mystery behind Hollis’ shocking death. But it soon becomes clear that Evelyn herself is hiding a dark secret, one that will help explain just how deep this conspiracy goes. Okay so let’s get right to it then. Is Chinatown the best screenplay ever written? The answer to that question is no. Well, at least in my opinion the answer is no. I still think Back To The Future is the best screenplay ever written. But that’s a debate for another time. What surprised me, despite never holding this movie in high regard, was that once I stripped away all the images, once I forgot about the film and Jack Nicholson and just concentrated on the words, how good of a script it really was. I’ll start with the first 15 pages. A big problem I have with most crime/murder mysteries is that they follow the same boring opening template: "Dude gets murdered. Time to start looking for the killer." A monkey could set up that scenario. Here, things are quite different. Mrs. Mulwray hires Gittes to see if her husband is cheating on her. He does a little investigating, finds out that he is. But after the investigation is over, a new woman walks through the door claiming *she* is Mrs. Mulwray. Which means the other woman was a fake. Okay, when I say that professional writers make more original choices in their stories than amateurs, this is exactly what I mean. This is not a setup I’m used to seeing. Just like yesterday, in my review of Nautica, it passes my murder-mystery test of not just setting up the lazy question of “who killed the dead guy,” but poses a much more complicated series of questions, starting with, why the hell would a woman pretend to be someone else’s wife and hire a private investigator to follow her non-husband? It just doesn’t make sense. Interestingly enough, it isn’t until AFTER this scenario that the principal murder takes place, leaving us really confused about what the hell is going on. This multi-faceted setup is what hooks us. It’s different. It’s unique. We need to know what happened. Another notable thing about the Chinatown script is its story density. One of the problems I had with Amateur Friday Randy Steinberg’s script (I love you Randy. Just using your script as an example!) was that there was no story density, no subplots, no character development, which led to a very “thin” feeling plot. Here, we have several intriguing threads going on at once. There’s the Hollis murder. There’s the city water conspiracy. There’s the mystery behind Evelyn. And then there’s the Ida Sessions stuff (the mysterious girl who first claimed to be Hollis’ wife). There were even a couple of smaller threads as well, making sure Chinatown always felt rich and complex. Of course, handled shoddily, these multiple threads could’ve led to the story feeling overplotted (read my Die Hard 2 review to see what I mean by “shoddy”), but everything’s been so well thought through here – each thread exists for such a specific purpose – that that’s never the case. I also love how every key character in Chinatown has a real backstory, and that those backstories are multi-dimensional. Take Evelyn for example. She’s not simply the innocent wife. She’s been having affairs of her own, implying all sorts of things about her marriage. We never find out exactly what happened there, but we get enough of a whiff to imagine a rich full complicated history between the two. If you can do that in your screenplay, you can make the audience believe that the characters they're watching are real. Because backstory implies a life before the movie existed, which tricks the brain into thinking the people they're watching exist in real life. Of course, if it's some cliche generic backstory, we never get that sense, leading to the opposite effect - us not believing the characters are real. Chinatown is also a great example of how to construct conflict within the central relationship. With Gittes and Evelyn, there are actually two elements of conflict happening at all times. First, he doesn’t 100% trust her. So there’s always a restraint there, a cautious wall he puts up, which adds a nice subtext to their conversations. And also, there’s sexual tension between the two. Both characters are attracted to each other, which also plays into their dialogue, and nicely contrasts with the lack of trust. This is by no means a new device, but it works particularly well in this relationship for some reason. As far as what’s not in this script, there’s no real ticking time bomb here, which I guess is not surprising since that was less of a concern back in the 70s. Everybody had all the time in the world so who cares if things get finished now or later? Now would it have helped Chinatown? I think yes, it would have. Not dramatically. But there were a few times in the script where we could’ve used some momentum. Also - and you’ll have to excuse me if this is a bigger deal in the movie because I’m just going off the script (it’s been ten years since I saw the film) – but there’s no true villain here. I mean, there are some smaller villains. And of course Cross is pretty bad. But here in the script he shows up late and the extent of his evil is only revealed in the final act. One of my big things is to try to get a great villain in your script. So it was interesting that Chinatown chose to cloak its villain for the majority of its story. You know it’s funny. If this showed up on my desk for the first time today, I’d probably say, “Change the water conspiracy to something more interesting and get the opening act moving faster.” But otherwise, this script really is a master class in crafting a character-driven mystery. It's not the greatest script ever written in my opinion, but I can't fault others for believing it is. It's damn good writing. What I learned: Restrained information. There are two instances where big parts of the characters’ pasts are set up, yet both times, very little or the barest amount of information is given. With Evelyn, it’s how she got pregnant. With Gittes, it’s Chinatown. Notice how Evelyn doesn’t go into extreme detail about the experience. “My mom died. He was angry. I was 15. I ran away.” It’s just quick flashes of information. And as I noted before, with Gittes, it’s not any specific thing that happened in Chinatown. It’s more the character’s reaction to the memory than the memory itself. These moments always tend to work better with restraint, and Chinatown is proof of that. Less is more people. Less is more.